Featured in Outside Magazine & The Avalanche Review. 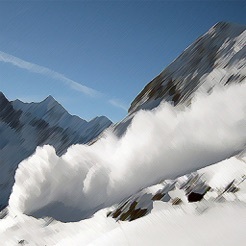 •Download and read the most recent avalanche forecasts for your area. 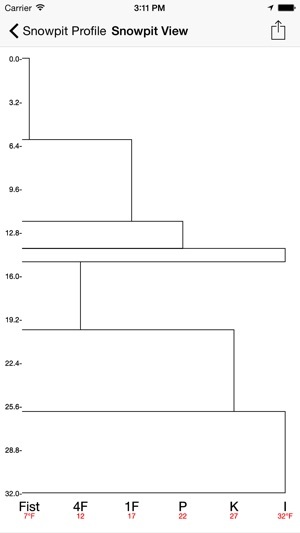 •Review conditions recently reported by other users. 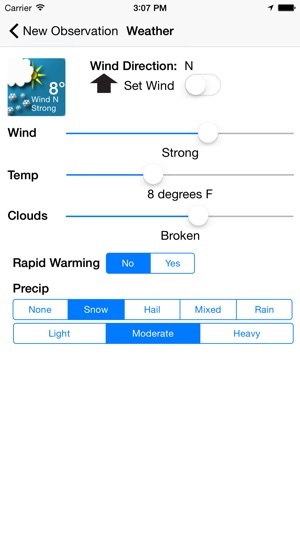 •Easily collect information about snow, weather and terrain conditions and avalanche sightings on your trips, using well-established snow science definitions and guidelines. •Record location, elevation, slope angle and a photo of the area in one easy step**--supports metric and imperial units. 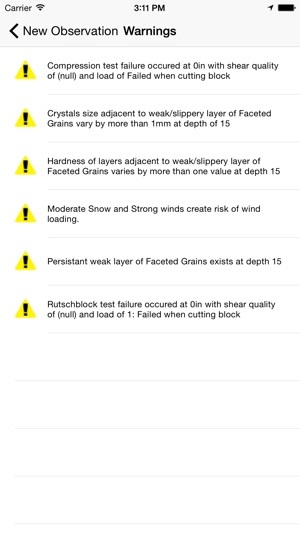 •Receive warnings when recorded conditions and test results are at levels that avalanche science considers high-risk. 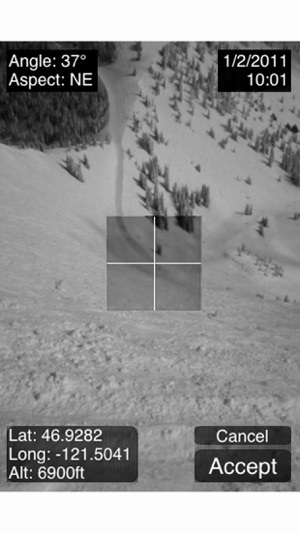 •Share your observations with the regional avalanche center (US only) and backcountry community in your area. 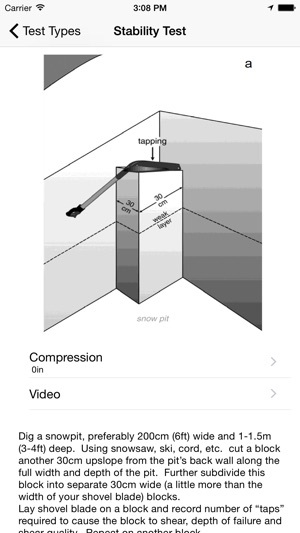 •Link to various educational resources to increase your knowledge of snow and avalanche science. *GPS and Camera support only in devices equipped with those features. **Slope Camera View iPhone/iPod only. Updated regions and forecast URLs worldwide. Fixed several bugs and updated to latest iOS SDK.